Eintracht Frankfurt have signed Netherlands international midfielder Jonathan de Guzman from Napoli. The 29-year-old, who spent the 2016/17 season on loan at Chievo, has put to paper on a three-year contract after linking up with Frankfurt on their Bundesliga World Tour 2017 trip to the USA. The Eagles announced that the deal had been finalised after their new number four played as a second-half substitute in a 1-1 draw with Seattle Sounders. "I'm really looking forward to the Bundesliga and, of course, to Eintracht Frankfurt," de Guzman said after his move was confirmed. "After my loan spell with Chievo, I want to take on another challenge and to help out Niko Kovac and the team as much as possible." 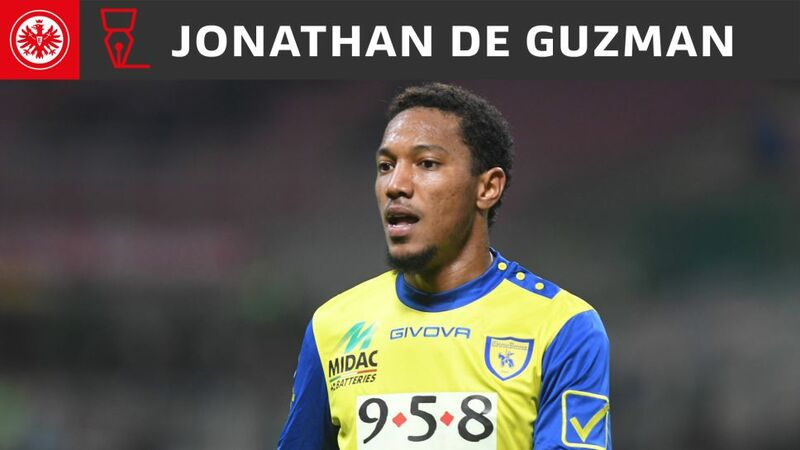 Toronto-born de Guzman played in the Eredivisie with Feyenoord, La Liga with Villarreal and the Premier League with Swansea City, before moving to Italy in summer 2014. As well as representing Serie A clubs Napoli and Chievo, he also spent six months on loan at Carpi in the second tier. The Dutchman has 14 senior international caps, three of which came at the FIFA 2014 World Cup.